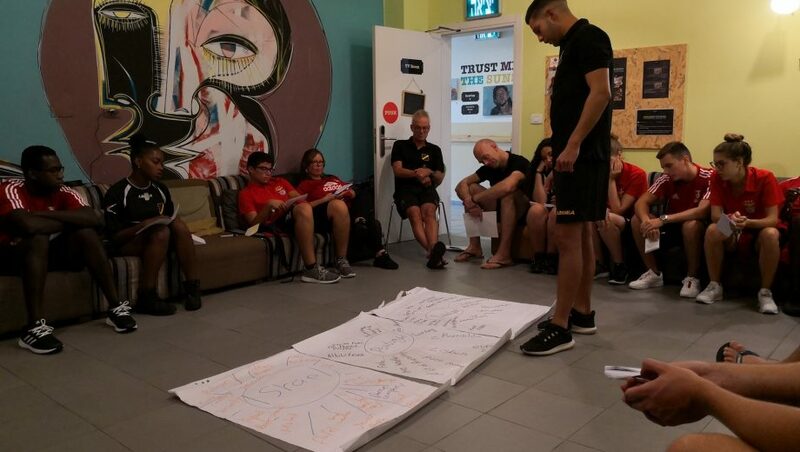 Youth and staff members from Fundaçao Benfica, NAC Breda and host Hapoel Tel Aviv (Mifalot) came together for the EFDN ‘Breaking Barriers through Football’ Youth Exchange in Tel Aviv. 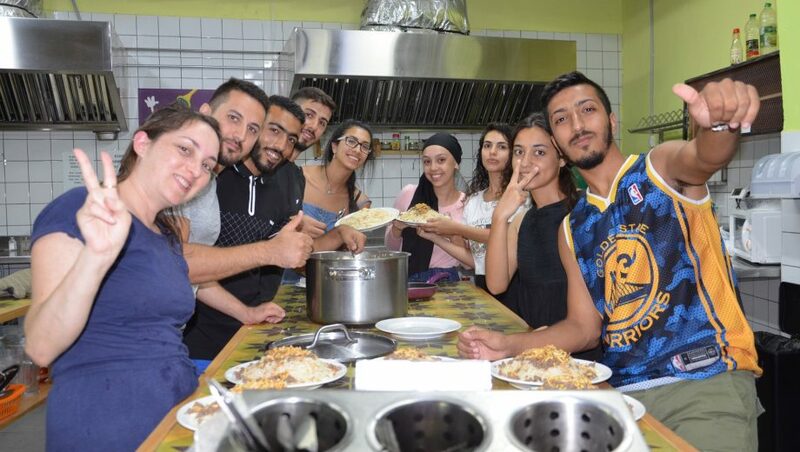 The participants from three different countries return to their projects equipped with more self-confidence, improved communication skills, a different cultural awareness and a lot of new friendships and good memories. 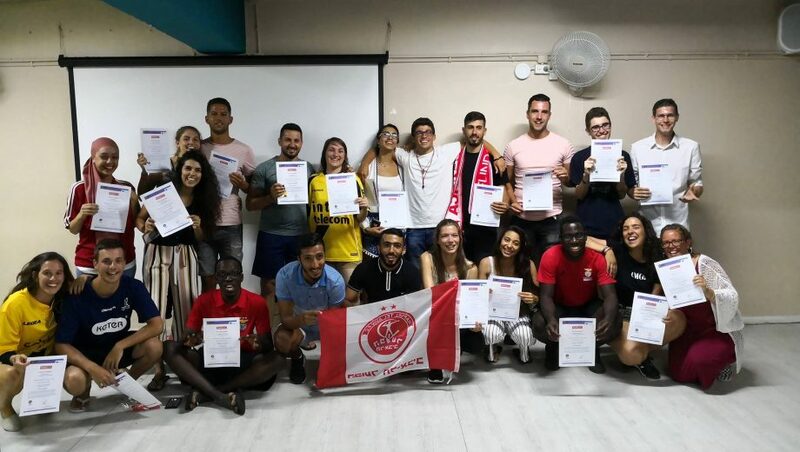 The main goals of the Youth Exchange were to improve the level of key competencies and skills of the young people and to foster intercultural dialogue. The first day was used to create a good group atmosphere and helped the participants to get to know each other. Each participant introduced himself, presented his hobbies and also explained his expectations regarding the following days. To learn the names a bit quicker, the name game ‘Paper slap’ was used. After this activity, the host Mifalot took the stage and used the ‘Sand of associations’ methodology to learn more about the current state of cultural knowledge of the group. “What do you know about Israel / Portugal / the Netherlands?”, were the questions that needed to be answered by the young participants. The Monday ended with the cultural evening organised by Mifalot. Especially, the quiz about Israel and the Arabic dance ‘Dabke’ was a lot of fun for the participants. The 2nd day of our the EFDN Exchange in Tel Aviv began with some Yoga and stretching. With new energy, the participants went to the beach to play games and to be active. In the evening, the group discussed the activities and fostered the intercultural exchange. On Wednesday, the group went to Ramla. We made a boat trip under the earth and learned about the history of the city. 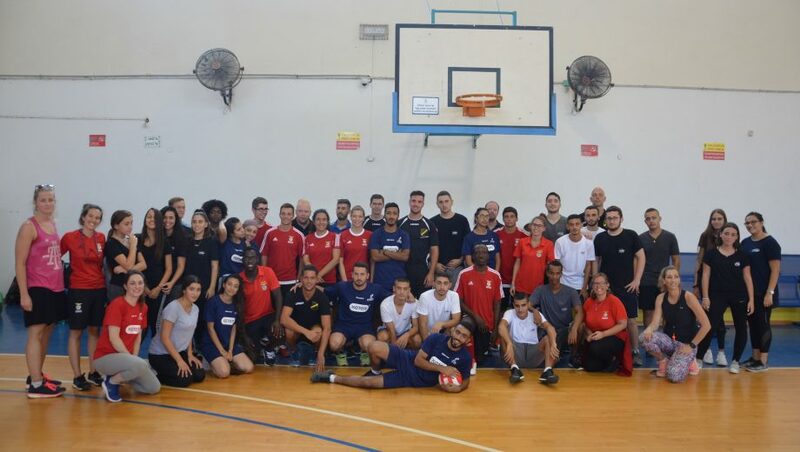 The young adults played football, basketball and volleyball with students from Israel and participated in a brainstorm session to discuss a possible further collaboration between the three participating clubs/ countries. To end the intensive day, the young adults from NAC Breda provided the participants with Dutch food and showed us more of their culture. On Thursday, the participants developed concepts for another exchange in Breda, the Netherlands. 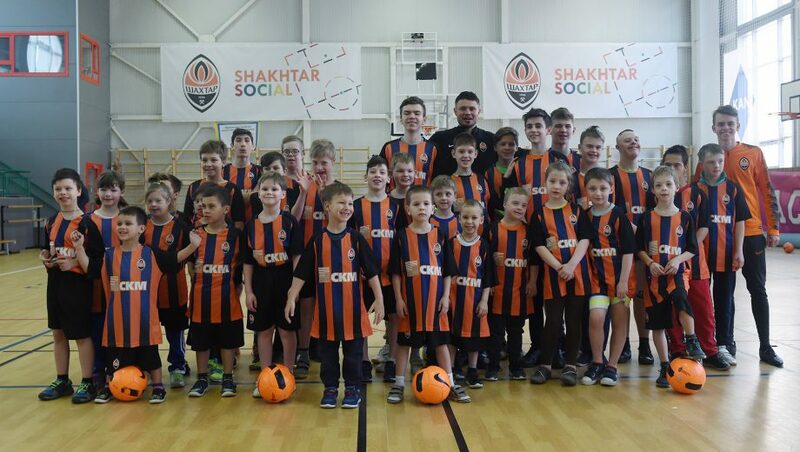 The group members used the experiences from their own projects at the different clubs and their first impressions of the Youth Exchange. The young adults collected very interesting ideas and presented them later on in front of a big audience. After that, the group went to Jaffa, the oldest part of Tel Aviv. The participants learned more about the history of Tel Aviv and the ancient building and discovered the streets in the famous district. For dinner, the group of Mifalot prepared a very delicious and typical wedding meal from Israel – including a dessert! Fundação Benfica took the stage later on and presented Portuguese poetry and dances. 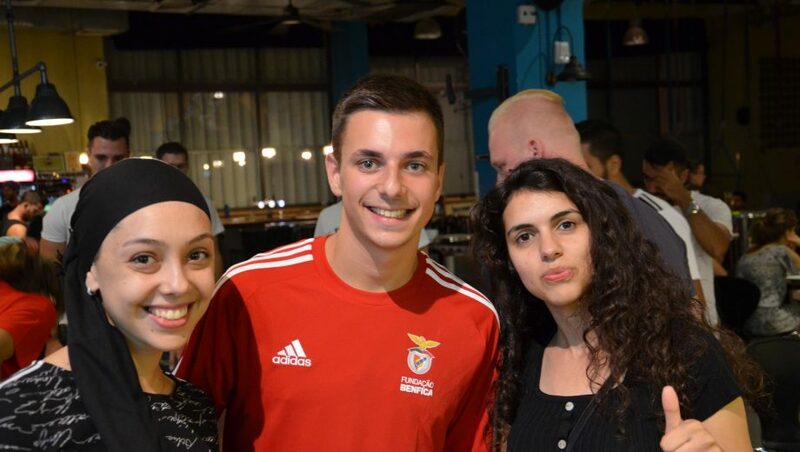 The 5th day of our ‘Breaking barriers through football’ Youth Exchange began with a scavenger hunt in the city. 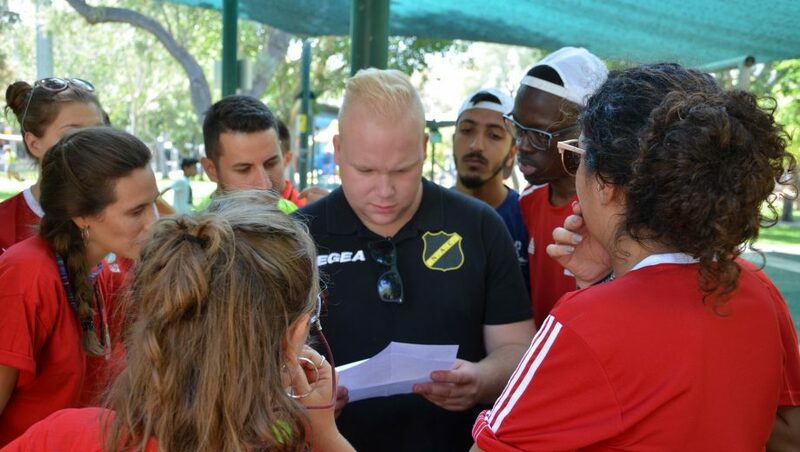 The participants from Fundaçao Benfica, NAC Breda and host Hapoel Tel Aviv (Mifalot) answered the quiz questions together and did some group exercises. Equipped with maps the groups found their way from the Great Synagogue to the Carmel Market and ended up on the beach. 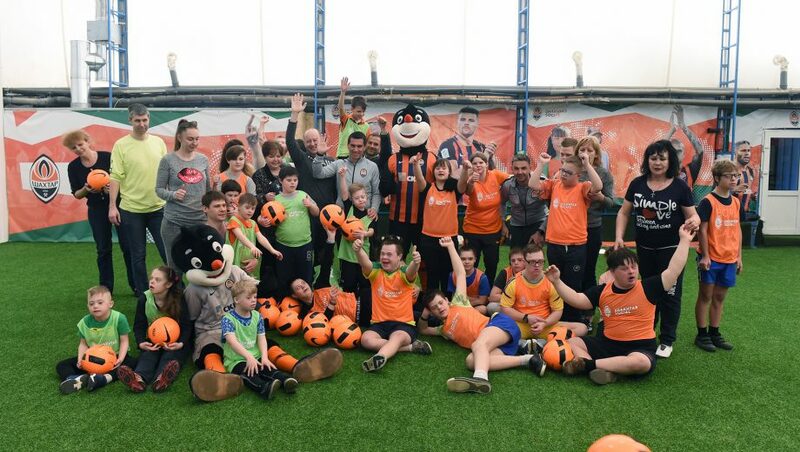 Next, to some swimming and a game of football, the young adults played a game organised by the delegation of NAC Breda. The day ended with a reflection session, a group discussion and the awarding of the Youth passes. The staff members of EFDN are very proud of the process of the group during the week. They worked together, played together and some of the group even cried together before the departure. The participants understand now that they have common values, needs and dreams. The young adults have improved their personal skills and have an enhanced sense of intercultural understanding and community. 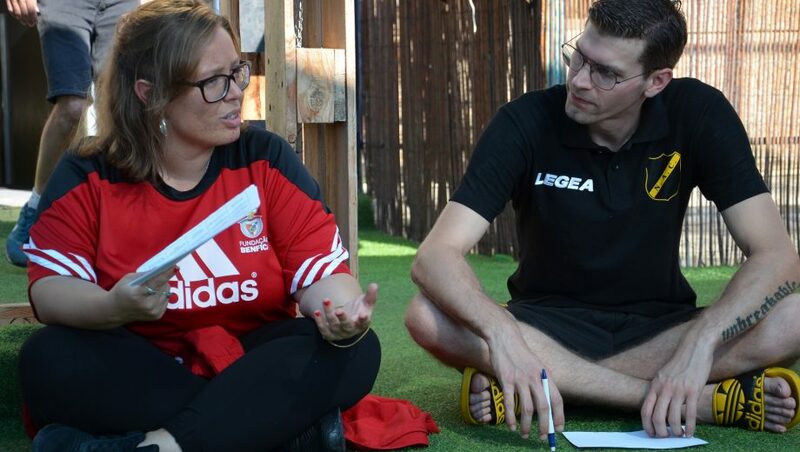 EFDN and the participating clubs agreed on a further cooperation in the future and will try to support these young talents to organise another EFDN Youth exchange in 2019.